For the remainder of the summer, each week we will take a deeper look at a basketball movie. Some you know, some you don’t. Today brings us Inside Moves, the Oscar-nominated (yes, really) 1980 drama starring David Morse, John Savage, Harold Sylvester, and several players from the Golden State Warriors well before the team became the model for everything that is right or wrong with professional sports today—depending on whom you ask. Arenas designed for basketball now have business executives hosting clients in luxury boxes or wedged into mortgage-blowing courtside seats. Before David Stern’s marketing savvy and the worldwide appeal of Michael Jordan, more regular people had access to the NBA experience. The Andersons always got tickets to the game. 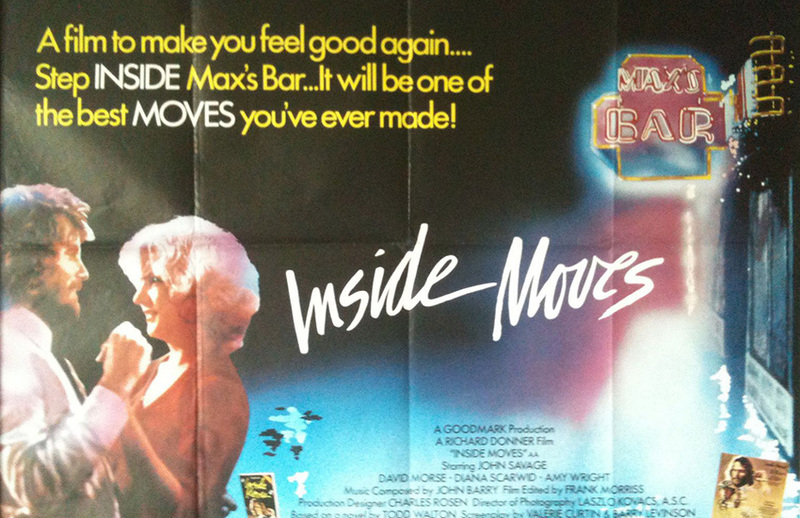 Nearly 40 years after its release, Inside Moves (available on Amazon for streaming) is an enjoyable curiosity. It captures the NBA before it became THE NBA. That’s the NBA many of us missed out on, when the accessibility was greater, when teams practiced at high schools and the players gave you their sneakers afterward if you asked nicely (but usually not, since they had to pay for them out of their own pocket). When you could film a basketball scene with what looks two complete NBA teams on the floor, and nobody batted an eye. (Count the players filmed in the movie’s game footage. It’s staggering.) Today, the NBA would not risk injury to have 10 multimillionaires devote their scant free time for a project that didn’t involve the X-Men, CGI-sculpted dinosaurs or a huge advertising tie-in. By comparison, the film’s main story—a young bartender with a crippling leg injury makes the Warriors—feels less preposterous. 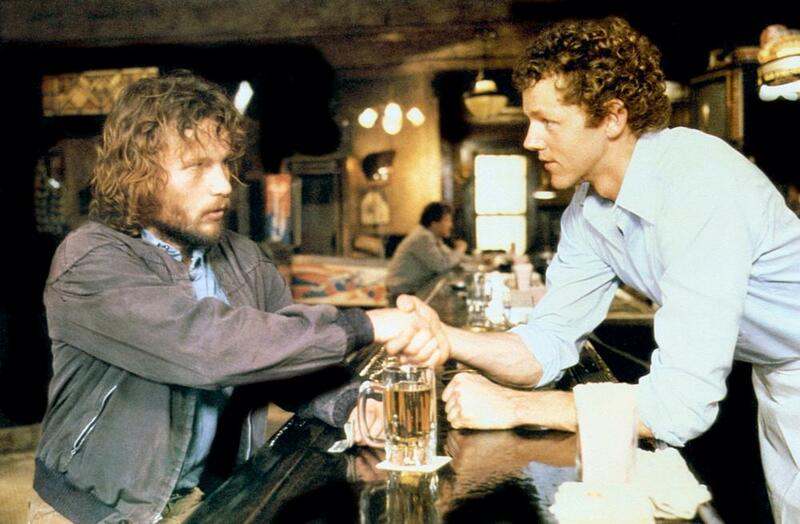 Despite his bad leg, Jerry (David Morse) is an outstanding pick-up player. He squeezes games in between bartending, babysitting his junkie-prostitute girlfriend (Amy Wright), and alternately cheering and razzing the Warriors. When the team’s star player Alvin Martin (Harold Sylvester, who played college ball at Tulane University) chokes during the final seconds in one contest, Jerry is furious. He chases him off the court and challenges him to a game of one-on-one. Alvin accepts. He plays Jerry the next morning—and nearly loses to a one-legged amateur who looks down when he dribbles. 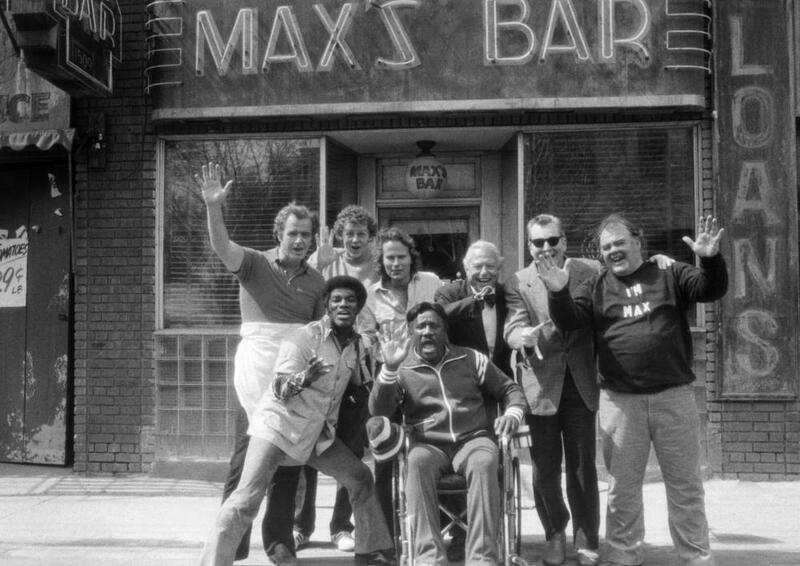 Basketball, like Max’s, the bar where Jerry works, brings people together. Jerry and his friend, Roary (John Savage, who would go on to scuff Buggin Out’s Jordans in Do the Right Thing), carry emotional and physical damage. Roary, a suicide survivor entering the world after a lengthy hospital stay, needs a center. Max’s offers much more. When Jerry invites new customer Roary to that aforementioned Warriors game, Jerry asks for nothing but his companionship, something Roary desperately needs. As time passes, Jerry gets someone who loves him unconditionally. It’s not enough. His leg remains untreated. A brutal assault keeps Jerry depressed and in the tub. That’s when Roary finds Martin’s mansion and asks for his help. Jerry starts on his path to NBA glory—part of the film’s goofy, feel-good appeal—one that would get grounded today. The bar to entering professional basketball today is sky-high, even the feel-good stories feature a staggering athletic pedigree. When Jeremy Lin went bonkers for the Knicks in 2012, he wasn’t some guy plucked off the street. He had played professionally. That he was a Chinese-American who attended Harvard, not exactly a basketball factory, framed Lin’s rise as inconceivable. His story fit no mold. Teams are investments, not vaudeville enterprises. Back in the 1970s and 1980s, teams were not so strait-laced. The Warriors was one of them. Owner Franklin Mieuli drafted Denise Long, the first female basketball, a move that commissioner J. Walter Kennedy disallowed. (Several years later, the New Orleans Jazz drafted Lusia Harris, who never tried out because she was pregnant.) The Kansas City Kings drafted Caitlyn Jenner, back when she was Olympian Bruce Jenner. In 1984, the Bulls selected Carl Lewis. None played in the NBA, though Lewis had an impact on the game no one could predict. Beyond serving as a snapshot of a simpler, family-style NBA, Inside Moves is about male friendship, and the difficulty of letting your guard down. Kind of. The relationship gets undercut with clutter: Jerry’s relationship with his shipwreck of a girlfriend, the tacked-on love interest (Diana Scarwid), who is so ill-defined we never learn why she loves Roary; the other lonely souls of Max’s, Richard Russo benchwarmers given superficial maladies as proxy for real ones. Director Richard Donner (who later directed the Lethal Weapon movies) balks at diving into f the emotional bond between these two men, so he keeps padding the distance between them. That gave me time to ponder other issues as Morse tore his way through the semi-pro competition and Scarwid kept using the word “lovers” in a non-pizza context. One of Stern’s goals as NBA Commissioner was to have the League maintain its own history. Now, the NBA’s legacy is part of its marketing. I mean, Bill Russell presents the Larry O’Brien Trophy. That’s why books and documentaries, from people not directly employed by the NBA, take priority over narrative film. The former media allow a deeper look beyond the branding and the information that comes via tweet and push notification and radio host bellow. The NBA was professional sports’ scrappy little brother in 1980. If a studio remade Inside Moves, which I don’t think is a bad idea, the sport must have some element of the common man. (My vote: running.) Basketball players aren’t doing this part-time any more. They’re athletic supernovas. The on-the-court and off-the-court action is flirting with cartoonish. The NBA has become an entertainment force on its own, so much so that it doesn’t need Hollywood to bolster its profile by engaging in fiction.